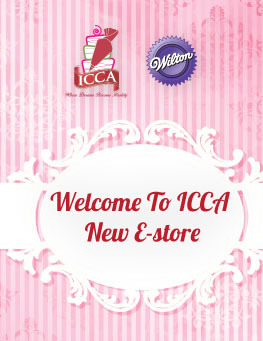 We wish to assure you that International Centre of Cake Artistry Sdn. Bhd. takes your privacy seriously and we are committed to the protection of your personal information provided to us. Personal data is information about an identifiable individual. This includes any information that can be used to distinguish, identify or contact a specific individual. An individual’s opinions or beliefs, as well as facts about, or related to, the individual may also be considered personal information. Personal data may include, but not be limited to, your name, contact details, mailing address, e-mail address, occupation, identification card number, passport number, income, employer’s details, security recordings, images (photographs and video recordings) and any other such information that may be relevant to your application or request in your dealings with International Centre of Cake Artistry Sdn. Bhd. Data provided by you such as comments, queries or messages submitted to International Centre of Cake Artistry Sdn. Bhd. in whatever manner. To process your order to purchase our products and / or services. To verify your identity when you contact us. To respond to inquiries, comments and suggestion from you. To enable us provide you with your requested product and service. To assist International Centre of Cake Artistry Sdn. Bhd. to detect and prevent fraud and/or illegal activities. For International Centre of Cake Artistry Sdn. Bhd.’s internal records management. To carry out market analysis, research and customer profiling to study market trends. To provide you with customer support and after-sales services. To facilitate your participation in any contest, event and / or membership / loyalty program. To improve the quality of International Centre of Cake Artistry Sdn. Bhd. 's products and /or services. To support business, financial and risk monitoring, planning and decision making. To deal with the mailing and communication of information literature (e.g. invitations to exclusive events, information on promotions and offers, sending magazines and/or newsletters). To identify other products and services which might be of interest to you and to inform you about International Centre of Cake Artistry Sdn. Bhd. 's products and services. Your personal data provided to us may be disclosed to the following classes of third parties (in or outside of Malaysia) as required under the law or pursuant to relevant contractual relationship (for example, where we appoint third party service providers) or for the purposes or directly related to the purposes stated. Entities within International Centre of Cake Artistry Sdn. Bhd..
Our partners such as insurance companies, banks and financial institutions. Government departments or agencies, statutory authorities and industry regulators. Third parties appointed by us to provide services to us or on our behalf (such as auditor, lawyer, company secretary, service providers, printing company, telecommunications company, contractor, events and training organizers and other advisers). Associated companies and outsourcing partners. Data center and servers for storage purpose. Subject to the exceptions provided under Malaysian law, you may request for access to, correction, update or limit the processing thereof at any time hereafter. International Centre of Cake Artistry Sdn. Bhd. International Centre of Cake Artistry Sdn. Bhd. may modify or update this privacy notice to reflect any changes to its privacy practices, without prior notice and any such amendment will be notified via our website. We assure you that we are practicing prudent actions when dealing with your personal data for the activities mentioned above and also are requesting the parties that deals with us to enter into a Non-Disclosure Agreement as a step towards complying with our Data Integrity Policy. We trust that you consent and agree to the terms above with respect to our processing of your personal information. If you do not consent to the above, kindly contact us.